Wolfgang Amadeus Mozart's The Marriage of Figaro (Le nozze di Figaro) is a comedic opera based on a play by Beaumarchais called La Folle Journée, ou Le Mariage de Figaro (1784). This in turn was a sequel to an earlier play by that same author, Le Barbier de Séville (The Barber of Seville)—familiar to most music lovers because of Rossini's famous opera of the same name. (Mozart's Marriage of Figaro premiered in 1786; Rossini's Barber premiered in 1816.) The plays and operas follow the misadventures of the Count and Countess of Almaviva, in Seville, Spain; the Count's barber, Figaro, and his intended, Susanna; and a host of other quirky, lovable and delightfully devious characters. Mozart's librettist, Lorenzo da Ponte, took Beaumarchais' play and "sanitized" it a bit—removing political commentary and satire that would have offended Viennese censors—then translated the rest into Italian. With Mozart's almost magical score (some people refer to this entire opera as "Mozart's greatest hits"! ), replete with beautiful tunes and lots of laughs, The Marriage of Figaro remains one of the most beloved of standard operatic repertoire today. The piece of sheet music that we include here, called a Theme from The Marriage of Figaro, is actually the melody to Figaro's aria Non piu andrai ("No more gallivanting"), which he sings at the conclusion of Act I to Cherubino, the teenage boy who is page/servant to the Countess Almaviva--and a notorious flirt. Cherubino is about to join the military, a role he sees as glamorous and exciting until Figaro lets him know what a soldier's life is really like: no women, no fun, lots of work and "not much money." By the time this teasing aria is finished, Cherubino's almost ready to desert when he hasn't even reported for duty yet! 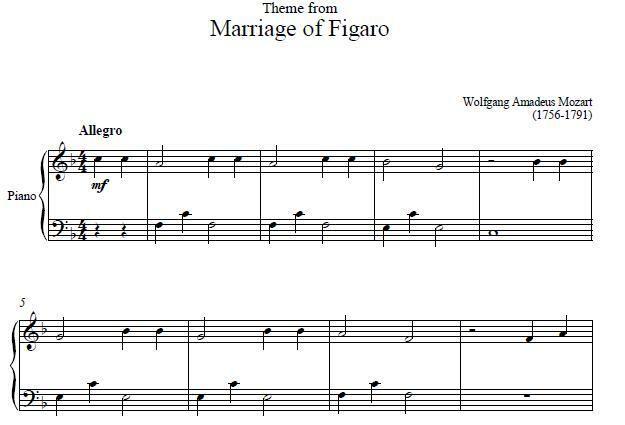 Needless to say, this Theme is one of those "greatest hits" of Mozart, and one of the more memorable tunes of The Marriage of Figaro that invite singing or humming along. 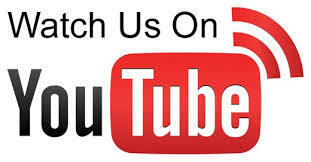 Enjoy learning it at the keyboard, and you may want to learn many more of the gorgeous tunes from this popular opera. Do you like this classical music? We have many more classical sheet music from Beethoven, Mozart, and other great composers.